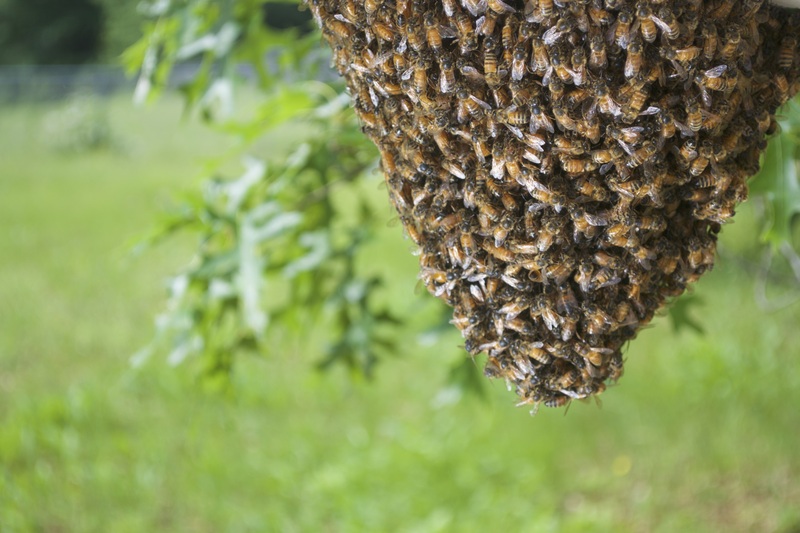 Bee swarms form when a queen bee strikes out with a large group of worker bees to form a new colony. “The primary question of our research was, given that individual bees can likely only sense their interactions with their neighbors, how do they make changes to maintain the overall structure of the cluster?” said Orit Peleg, former postdoctoral fellow at SEAS and co-first author of the paper. Peleg is now an Assistant Professor of Computer Science at the University of Colorado – Boulder. Imagine playing Ring-a-Round-the-Rosy blindfolded. You don’t know which direction everyone in the circle is moving, but you do know the direction your neighbor is moving because you’re holding their hand. You don’t know when everyone falls down, but you know when to fall down because your neighbor falls down. Like bees in a swarm, you follow the cues associated with the local strain from your neighbor. When the cluster flattens during horizontal shaking, load sharing by individual bees increases but the colony overall is more stable – similar to crouching when the ground is shaking. The researchers were able to mimic this behavior in a computer simulation by imposing rules at the local level.